Click here to purchase your April 2018 – March 2019 moon planting calendar and start gardening using the Moon’s energy. 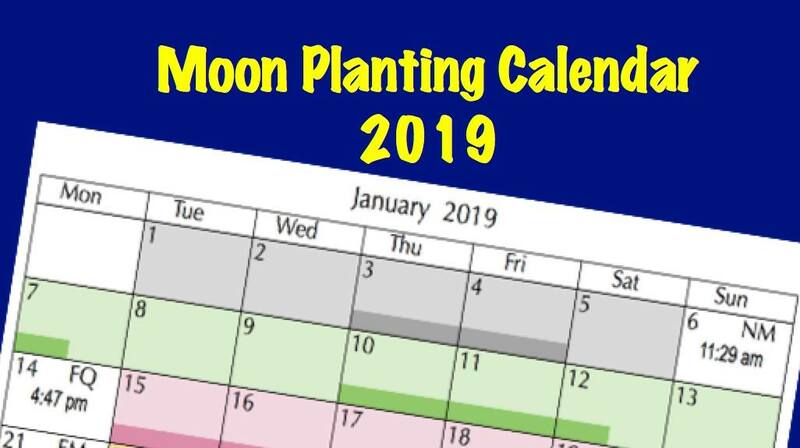 Aussie Organic Gardening’s 2018–2019 moon planting calendar* for Australian and New Zealand readers is now available to help them get the best results from their gardening efforts and plan their gardening activities. It’s easy to follow and colour-coded to an accompanying legend so that gardeners can easily see when to sow or plant each group of plants. Within each phase, the best days for particular activities, such as pruning, fertilising, harvesting for storage, weeding and striking cuttings are also shown. Weeks begin on a Monday, so that weekend gardeners can see at a glance which activities are suitable for coming weekends. 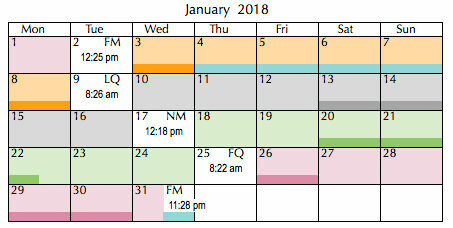 The calendar is produced as a PDF. Moon phase changes and gardening times are calculated to Australian Eastern Standard Time (AEST). Although planting by the moon, or lunar planting, is a common practice around the world, moon phase changes occur there at different times and their calendars are not accurate for Australia and New Zealand. * This Moon Planting guide is a simplified version. Further details of what to do when in the garden in each Australian and New Zealand climate zone can be found in the perpetual monthly ‘Planting and Garden Activity Diary’ and ‘Best Gardening Days to the end of 2022’ sections of the updated edition of my book Easy Organic Gardening and Moon Planting (Scribe Publications 2017). This entry was posted in Fruits and Vegetables, Herbs, Moon Planting diary, Moon planting explained and tagged 2018 moon planting calendar, AEST, Aussie gardening, Australian organic gardening, easy organic gardening, first quarter moon, FM, FQ, full moon, gardening advice, gardening by the moon, growing plants, growing vegetables, how to grow, January to December, last quarter, LQ, lunar cycle, lunar month, lunar planting, moon phases, Moon Planting diary, new moon, New Zealand, NM, NZ, organic gardening, planting by the moon, plants, propagating, synodic period, vegetables, weeds, what to grow, when to grow, when to sow. Bookmark the permalink.